Tap in the query ‘innovation advice’ into Google and you will receive approximately 250 million search result pages. Alternatively, Amazon advises that it has a mere 99,000 books on innovation for you to read. For many, the word innovation has grown into cliché: a tired piece of jargon and business school sorcery trumpeted in every seminar, start-up plan and executive CV. There is a danger of too much lauding of Steve Jobs. If only we could be like him and work for Apple, rather than a regional newspaper trying to move into digital? Or perhaps our financial director should grow a beard like Richard Branson and become a bit more of a risk taking maverick and get into space flight? Or maybe not. When exploring innovation there is a danger in applying the approaches that work for one entrepreneur or company, in one industry to everyone else. In reality of course, whilst the innovation lessons of others are useful references, everyone must develop their own story to fit their business. Innovation is complex. It touches on economics, technology, research and business cases. But it also is fundamentally about business culture, leadership and those tricky old chestnuts, style, hunches, industry contacts, stepping outside the normal way of doing things and encouraging new ideas and creativity. It sometimes looks like too many people are expounding on innovation and too many secret potions being peddled of how to do it. However the need to reinvent and change is a reality facing every business, from start-ups to established market leaders. The world is shrinking and disruptive technologies makes standing still and conserving what you already have the dangerous option. ‘Adapt or die‘ as Intel’s Andy Groves puts it. So where is a good place to start? 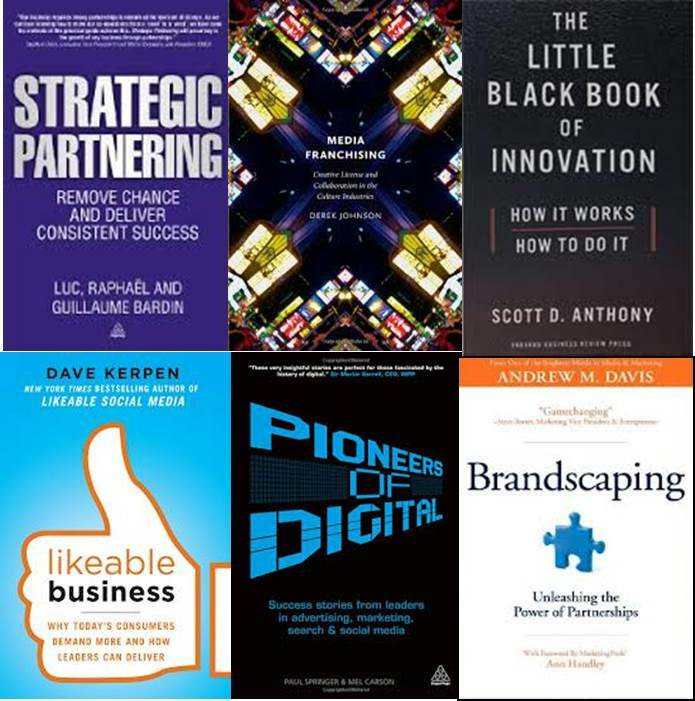 You could do a lot worse than starting with Scott D Anthony’s Little Black Book of Innovation. It’s a great overview of the modern debates, ideas and processes surrounding how to commercialise a new idea. A large part of the book includes Anthony’s 28-day innovation programme, a chronological 4 week process. However the highlight of this book is Anthony’s introduction to the great ‘masters of innovation’. For those who are not engaged in full-time study and do not have the time or the book shelf space to collect and study the works of Clay Christensen, Pete Drucker, Steve Blank, Richard Foster and A.G. Lafley – Anthony neatly summarises the the key points to note. From Steve Blank’s view of ‘start-up’ thinking to Clay Christensen’s believe that success can dangerously hinder a company’s ability to innovate. Anthony also asks the question; what really stops us from innovating? His answer points to the deadly sins of innovation, which may not be original but nevertheless ring true; Pride, Sloth, Gluttony, Lust, Envy, Wrath and Greed. Being innovate is not simple, quick, guaranteed and safe. It it was, it would be easy and there would be no need for 99,000 books on the topic. If you need to kick-start innovation or you simply want a valuable addition to your thinking this book is a smart place to start. You can buy The Little Black Book of Innovation by Scott D Anthony here. Kerpen On Being Liked And Listening .. I have sympathy for a lot of the marketers whom I meet these days when they hear the ‘S-Word’ and the ‘C-Word’. A few years ago, one could not attend any marketing event, hear a pitch or attend a conference without the mentioning of User Generated Content or SEO. These, were the guarantees to marketing success and the world seemed full of approaches that had more bluster and spin than substance. No doubt, SEO and smart content systems were part of the mix but the noise was deafening and after a while one suspected an over-sell and over-kill. And today, one can see marketing colleagues roll their eyes when the conversation turns to matters Social and Content related. Dave Kerpen, founder of an award-winning digital agency is in the vanguard of the charge of social marketing. His book ‘Likeable Social Media’ immerses you in the reality that is social media, digital networks and what this means for marketers and consumers. The book is dense and detailed. It is full of bullet pointed notes, explanations, links and advice on the role of Facebook, Twitter and YouTube to marketers. This book covers a big territory; from improving e-commerce capability to managing reputation and online PR when customers take to Twitter and Facebook to rant about how poor your service is. The book can overwhelm but there is real gold in his advice. And when Seth Godin is a fan (“Dave takes you on a guided tour of how to be human in a digital world”) – then you know Kerpen must be on to something. A big part of Kerpen’s advice is the importance of listening and being authentic. In a digital world this means more than the flash promotions, superstar endorsements, hi-tech gadgetry and big digital media budgets. Is marketing and service now really all about ‘social’ and ‘digital’? Or is this really just about sticking to the basics of marketing and ensuring that we delight and serve – whether offline or online? Something to discuss. Meantime, you can buy ‘Likeable Social Media’ buy Dave Kerpen here. Companies and brands don’t really do anything. Visions, goals, objectives, ideas and plans are folly. The only things that really makes things happen are people. The people who can drive things forward in a corporate or take a risk if they are starting up themselves. Many of us know the brands and companies that have shaped our digital world; iTunes, Lastminute.com and TED.com. But who drove these from ideas into marketing benchmarks? What was the role of Denzyl Fiegelson, Martha Lane-Fox and June Cohen? 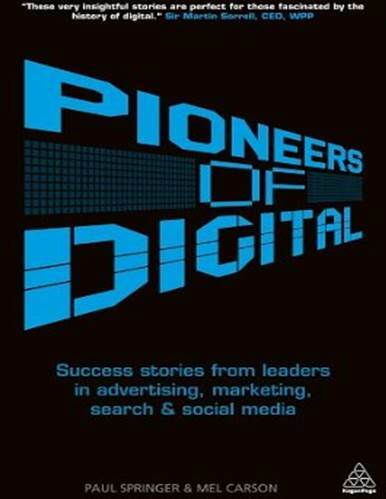 In Pioneers of Digital, Paul Springer and Mel Carson introduce us to the people who have led the way. So, how do the pioneers of digital create heaps of original ideas and work on things years in the future? Well, the interesting answer is that for most, they do not. The focus for many of the pioneers is more on the present, of developing and launching what is possible now, with the technology that is available this month, rather than aiming to change the world in five years time. It is a practical point that this mirrors the ‘test and learn’ approach famously described by Eric Ries in ‘Lean Start Up’. Or, as my lecturer in law once told me, ‘little steps Andrew, little steps’. Pioneering is step by step and the reality is you need to be more smart entrepreneur than cutting edge brilliant inventor. As Springer and Carson point out; ‘Many platforms claim to be the first of their kind and online marketers still pluck new big ideas for digital. Yet originators rarely make big bucks from eureka moments.’ This is a great piece of advice for anyone involved in digital innovation and especially if you are spending money on consultants, designers and web developers. It is easy to sink money into digital projects on the basis of originality and innovation. Other key lessons from these pioneers include building the right business model, understanding the notion of free, the importance of content – and the value of having a variety of skills that can be blended together to build digital results. All of the pioneers interviewed seem to share a passion for creating something useful and genuinely enjoying what they do. And in common with a lot of great entrepreneurs and ability to keep things simple. For many of us who have had to work on digital campaigns, content deals and releases that never turn out as we expected it is a lesson that is often learnt the hard way. Whilst this book is not positioned as a ‘how to’ manual or handbook for digital marketing, there is some highly practical advice you can take into your work. You can buy Pioneers of Digital by Paul Springer and Mel Carson here. 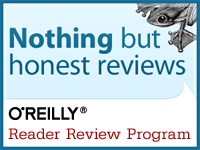 The first part of this series features additional reviews of ‘Strategic Partnering’ by Luc Bardin,‘Brandscaping’ by Andrew M Davis and ‘Media Franchising’ by Derek Johnson. You can read more about them – here.